Ah, America in the ’80s: big hair, shiny clothes, and . . . blatant racial and gender stereotypes? Yep, that’s the decade of decadence. But from within that society emerged a groundbreaking and exciting promotion, the Gorgeous Ladies of Wrestling. GLOW is Neflix’s somewhat-based-on-a-true-story telling of its history, starring Alison Brie (Community, Mad Men) and comedian/actor Marc Maron. The 10-episode first season explores the background and production of the show, all the way up to the big premiere. Slight spoilers ahead. Ruth (Brie) and Sam (Maron). Netflix. The opening scene sets the tone for the whole series as struggling actress Ruth (Brie) auditions at a casting call with an energetic and forceful monologue—which was the man’s part of the script. Ruth is dedicated to her craft but has no idea why she’s never cast. Desperate, she corners a producer, who leads her to an “experimental” project for alternative women. Ruth, in full skirt, awkwardly climbs the gym bleachers, where GLOW director Sam (Maron, playing a slightly worse version of himself) emerges to address the dozens of women who have shown up. No one, including Sam, is quite sure how the show is going to work, which makes production as much of a headache as the ladies learning to wrestle. Ruth’s former best friend and former soap opera star, Debbie Eagan (Betty Gilpin), is roped into GLOW and becomes Ruth’s rival as the production struggles to get off its feet. Through the next nine episodes, GLOW highlights the lengths each woman goes to in her effort to become not only a wrestler, but a stronger version of herself. 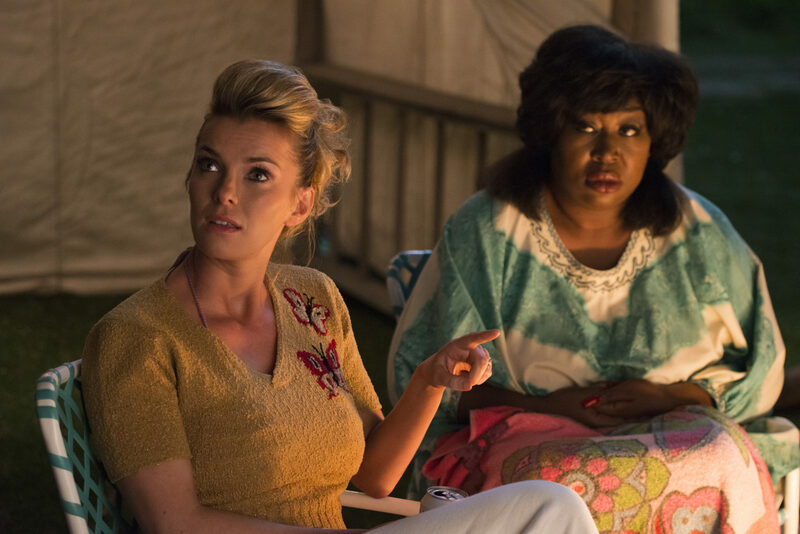 Debbie (Betty Gilpin) and Tamme (Kia Stevens). Netflix. Though Brie and Maron are the biggest names in the cast, the supporting actresses are the ones who really make the show special. Gilpin, as Eagan, literally has her hands full as a new mother who chose family over career, dealing with tremendous relationship issues. But she was excited to take on the role and work with a talented group of women both in front of and behind the camera. Her self-penned account details her thoughts on the show and being a woman in Hollywood. The only bona fide wrestler on the cast is Kia Stevens, whom fans of the sport might know as Awesome Kong from TNA Wrestling or Kharma in the WWE. As Tamme Dawson, Stevens does her share of great wrestling moves, but she shines as a soft-spoken first-time actress learning the ropes. Her persona in the GLOW ensemble is that of the “Welfare Queen,” a cringe-worthy stereotype of someone gaming the system. Also painful to watch are the cultural personas of an Arab terrorist, an Asian fortune cookie, and a Machu Picchu warrior. 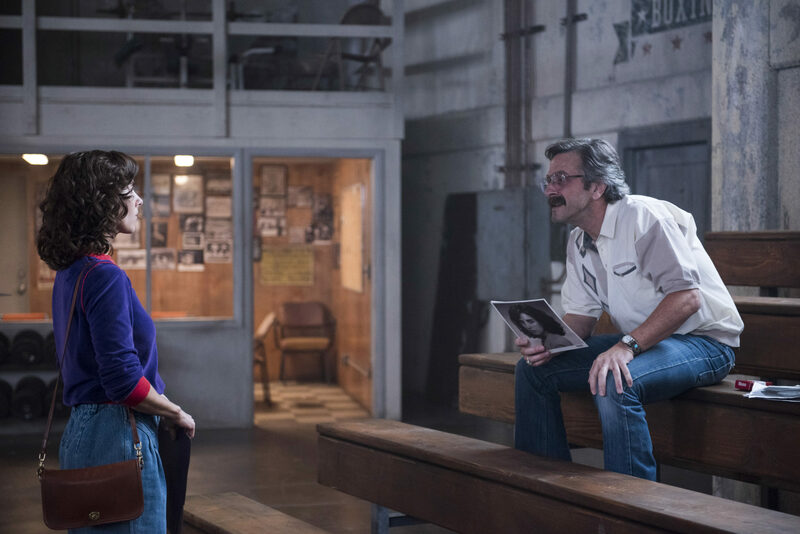 Maron’s character tries to play off the racial stereotypes as a commentary on society, but GLOW doesn’t do enough to push these stories to that point. This is, perhaps, the show’s only drawback. Each of the women finds her own strengths (and sometimes weaknesses) in self-discovery as they transform from relative nobodies to a tough and unified crew of wrestlers. 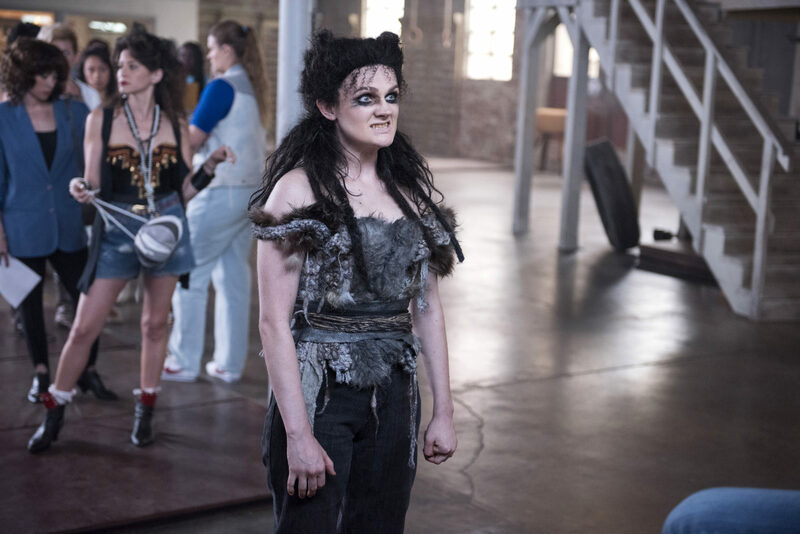 One of the best scenes shows Sheila the She-Wolf (Gayle Rankin) baring her soul to Ruth about who she truly is and her desire to be accepted. The women of GLOW also deal with issues of love, family, friendship, desire, heartbreak, perseverance, creativity—the list goes on and on. But I’ll let you see for yourself when you watch. 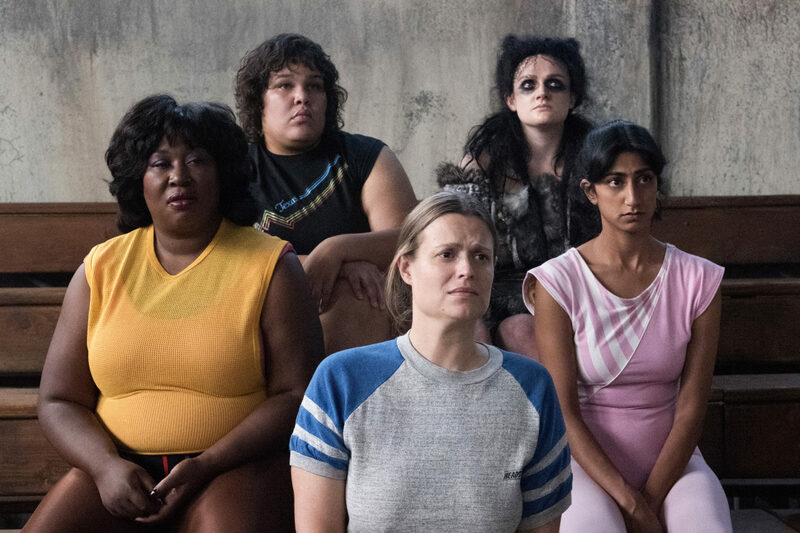 Nostalgia can have a powerful hold over our cognitive dissonance, but GLOW does a great job balancing the feel of the ’80s and empowering all of its characters. The biggest downside of the show is that it’s only 10 episodes of 30 minutes each. You can knock it out in a couple of nights, but you’ll have to wait another year to see more.